Inspired in the Harmonious Blacksmith Harpsichord piece by G.F. Haendel, this piece for Harpsichord is divided in 4 parts: 1. Introduction (0.00) 2. Son of of the Blacksmith (1.25) 3. Daughter of the Blacksmith (4.52) 4. The Family of the Blacksmith (7.50) Except the introduction, the other 3 pieces are with the same construction, an Aria and Variations on the Aria. The Son of the Blacksmith was the first piece that I composed, and together with the other 2 pieces and the Introduction is now complete. 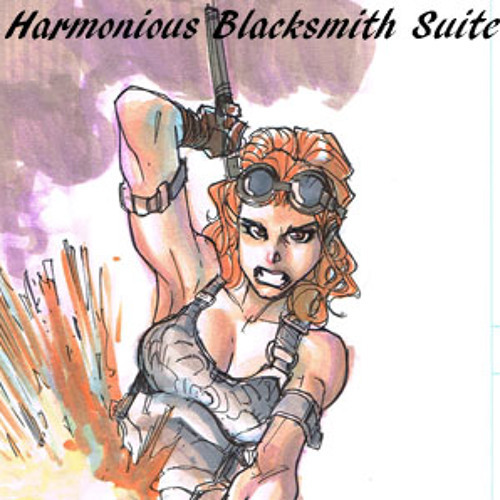 The original art piece was made specifically for this musical piece by Humberto Ramos (Amazing Spiderman, Fairy Quest, Crimson), and corresponds with the Daughter of the Blacksmith part. I want to thank my piano teacher Ana Camelo for her assistance in the correction and learning of the performance part of this piece.